The USMLE Step 2 CK tests your ability to apply medical knowledge during real-life examination scenarios. It is normally taken in the fourth year of medical school after you’ve completed your clerkships and NBME Shelf exams. With over 2000+ Step 2 CK questions and corresponding Learning Cards that encompass Neurology, Surgery, Internal Medicine, and other high-yield topics, AMBOSS is the final puzzle piece missing from your Step 2 CK study plan. How Can AMBOSS Help You Study for Step 2 CK? Crosslinked content keeps your studying centralized. Each Qbank question answer is linked to a corresponding Learning Card that covers the topic in question. You’ll learn not just why what’s right is right, but why what’s wrong is wrong. Study during your downtime or on-the-go, even offline. Time management is a piece of cake with our Qbank and Knowledge apps for iOS and Android. Practice going through questions during anywhere from the clinic to your commute. Enable the Highlighting Tool in any question stem or turn on High-Yield Mode in the Learning Cards to immediately see the most important information relevant for any topic. It’s condensed information that’s easier to recall on exam day. Use real clinical data to get the big picture on any disease or condition. 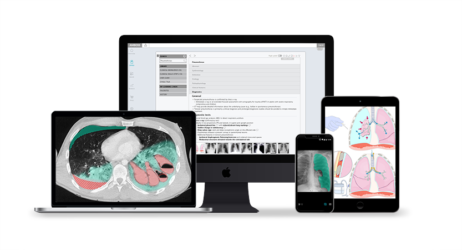 Both the Qbank and Knowledge Library feature charts, X-rays with overlays, videos, SmartZoom samples and other images that illustrate key points on different topics.